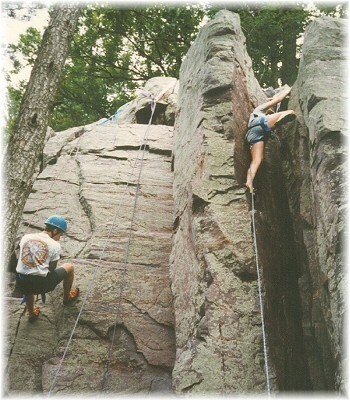 We offer your older campers a real outdoor adventure climbing at Devils Lake State Park in Wisconsin. The trip leaves from Lockport, Il. at 7:00 am allowing plenty of time to arrive at Devils Lake and get in some climbing in the afternoon. Evening will be spent relaxing around a campfire, and sleeping under the stars in tents. The second day we will head to the cliff again to challenge ourselves on longer climbs using all our new found skills from the day before. 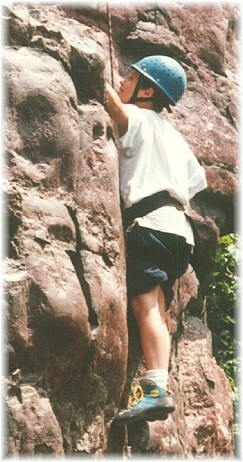 Have your climbers head up then down on the 2 day adventure in Iowa & western Illinois. The trip leaves from Lockport, Il.at 7:00 am allowing plenty of time to arrive at Mississippi Palisades State Park and get in some climbing in the afternoon. Evening will be spent relaxing around a campfire, and sleeping under the stars in tents. The second day we will head across the Mississippi River to Iowa to explore the depths of the earth at Maquoketa Cave State Park. We will be getting muddy as we crawl and walk through this unique underground world, so please bring clothing and footwear that you don't mind getting muddy. Offer your preteens and teens both a land and water adventure! The trip leaves from Lockport, Il. 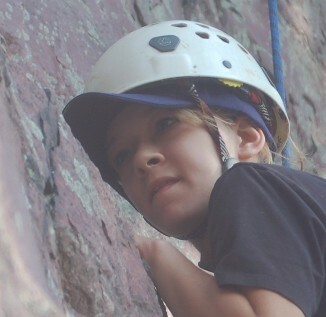 at 7:00 am allowing plenty of time to arrive at Devils Lake and get in some climbing in the Afternoon. Evening will be spent relaxing around a campfire, and sleeping under the stars in tents. The second day we will head on to Mirror Lake. This large lake is perfect for the novice kayaker, large sandstone bluffs shield the lake from the wind, and the many small bays and inlets allow the group to explore new wonders around every corner. If under 18 years old please also have the releases signed by your parent. 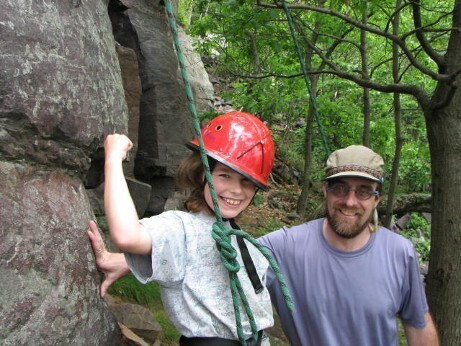 Already like climbing, but have only climbed indoors, this is your chance to try real rock as we head to Devils Lake State park for a day of climbing. Transportation and climbing equipment will be provided meals are not included.